When was the last time you read the small print? Reading the small print can be painstakingly tedious, however, in the case of storing firearms, it also happens to be of the utmost importance. You only need only to recall the incident that took place in Wagga, at the end of 2016 to see how important. After a night of shooting foxes on his property, a farmer accidentally left a shotgun in a cloth bag inside the cabin of his ute, along with ammunition. While driving his son to town the next day, police found the unsecure firearm and ammunition in plain view – a breach of the law. The farmer’s failure to comply with regulations cost him $1500. Failing to do your homework on firearm storage has its consequences. Thankfully, we have taken the time to do the legwork for you, collecting all the relevant information surrounding the legislation for gun safety in each state. Read on to find out more and ensure you avoid putting yourself under the gun. Firearms must be stored in a gun safe that is not easily penetrable. Category A and B firearm safes can be constructed of hardwood or steel, although steel is preferable. If the safe weighs less than 150kg when empty, it must be fixed to the framework of the premises. It must be fixed securely and must house the firearms with a lock of sturdy construction. Ammunition storage must be in a separate lockable container/compartment to that of any firearm. *The following information applies to guns in Categories A and B across Northern Territory and Southern Australia as well as all gun categories in Victoria. Category C, D and H firearms can be stored in any of the previously described gun safes except wooden. All safes containing Category C, D or H firearms must be securely fixed to the floor or a wall. The receptacle must be constructed of at least 3mm (longarms) or 6mm steel sheeting (pistols), and must be fitted with concealed hinges and a commercial quality flush mounted lock. The door must be no less than 6mm thick. In the case of Tasmania, all longarm safes must have two locks and be secured to the premises. Only guns in categories A and B are permissible in this state. They must comply with the requirements as outlined in category A and B for New South Wales. Firearms must be stored in a locked container constructed of solid steel or solid timber, and securely fixed to the frame or floor of a permanent building if it weighs less than 150kg. The bolt of the firearm must be removed. Container must be kept locked with a sturdy combination lock, keyed lock or keyed padlock. 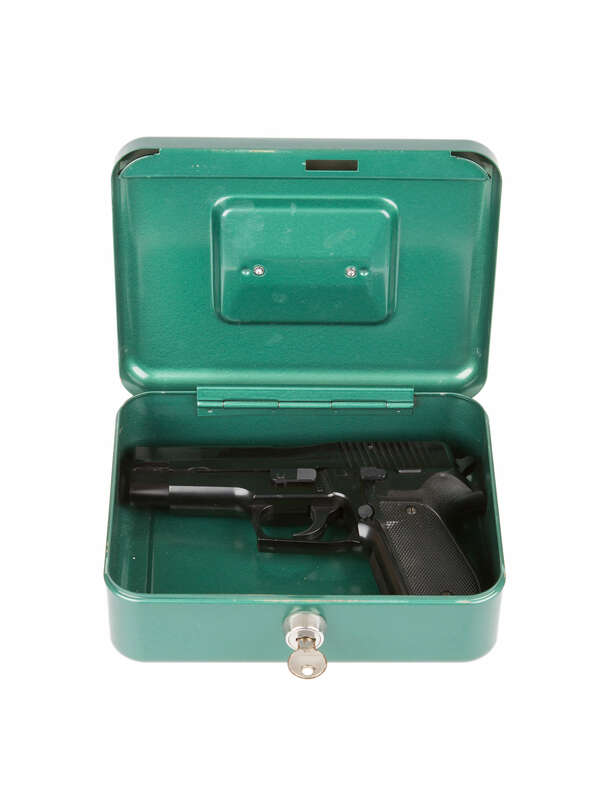 Firearms must be stored in a solid steel container, which is bolted to the frame or floor of a permanent building. The bolt of the firearm must be removed or action broken upon storage. Firearm safe must be made of steel and be fixed securely to the premises. It must also house the firearms with a lock of sturdy construction. Ammunition storage must be in a separate lockable container/compartment to that of the firearm. The firearm must be stored in a steel gun safe that is deemed not easily penetrable. The safe must be fixed to the framework of the premises via the floor and rear. It must be fixed securely and must house the firearms with a lock of sturdy construction. Ammunition storage must be in a separate lockable container/compartment to that of any firearm. For an extensive breakdown of the Western Australia’s legislation, please visit the Western Australia police website. In general, for the safety of both the owner and the community at large, firearms should be kept safe, away from the hands of unauthorised users and should not be lost. Ultimately the legislation is there to ensure everyone’s safety. As experts in safe gun storage, we welcome any queries or enquiries you might have.